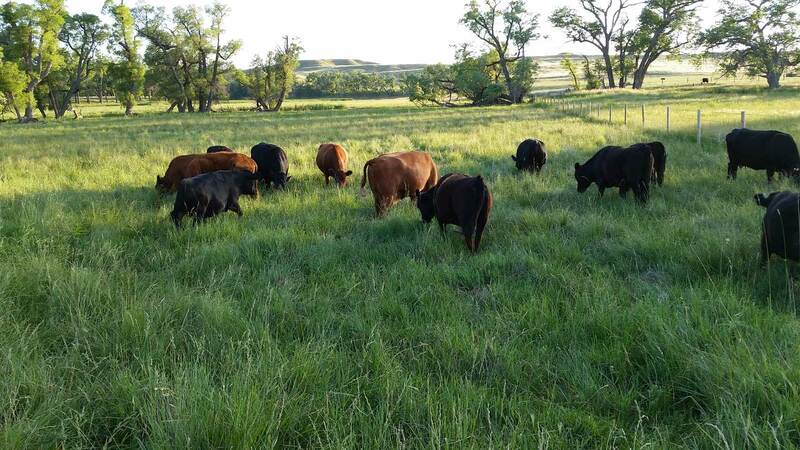 Moosters Meadows is located in the southeastern part of Wyoming, where we have a carefully selected herd of Dexters running on a little over 200 acres of pasture and meadow. We, like many others, started with two Dexters and quickly fell in love with this gentle breed. Soon enough, two grew into a herd that fluctuates between 60 and 100 depending on the time of the year. Our herd is fairly evenly split between black and red and (de)horned and polled. We have a few duns as well! We kept the horns on all our “foundation” cows. However, we have chosen to breed only polled Dexters since our 2014 breeding season. We believe in testing. Our entire herd is tested (or born as an obligate) PHA free. We have several chondrodysplasia carrier cows. As responsible breeders, we only breed these girls to non-carrier bulls, then test offspring so there is never any question as to the status of a calf. Every Mooster born since 2013 is parentage verified (as are many of our others – all have been, at minimum, genotyped). In 2011, we were bit by the show bug! Now we show at every opportunity within reasonable driving distance! We enjoy showing with our fellow breeders and love being able to bring attention to this wonderful little breed. 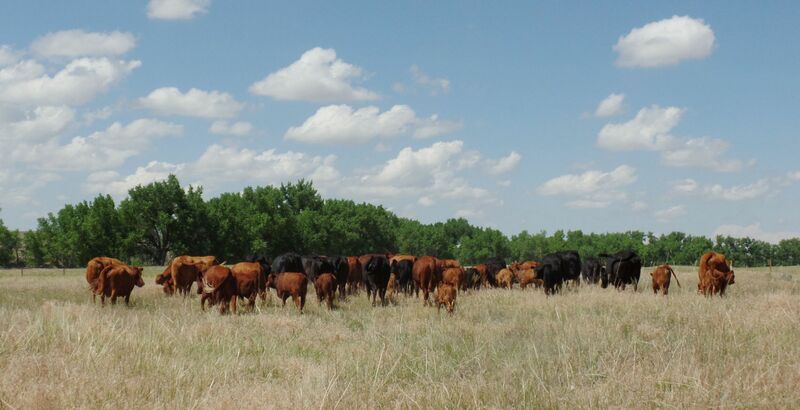 All of our Dexters are registered with the American Dexter Cattle Association and the Purebred Dexter Cattle Association. We also belong to Rocky Mountain Dexter Breeders Association (consisting of folks living in the western states – Colorado, Wyoming, Utah, Montana and California plus others) and Missouri Dexter Breeders. We are proud to say that we have Moosters in herds from coast to coast. 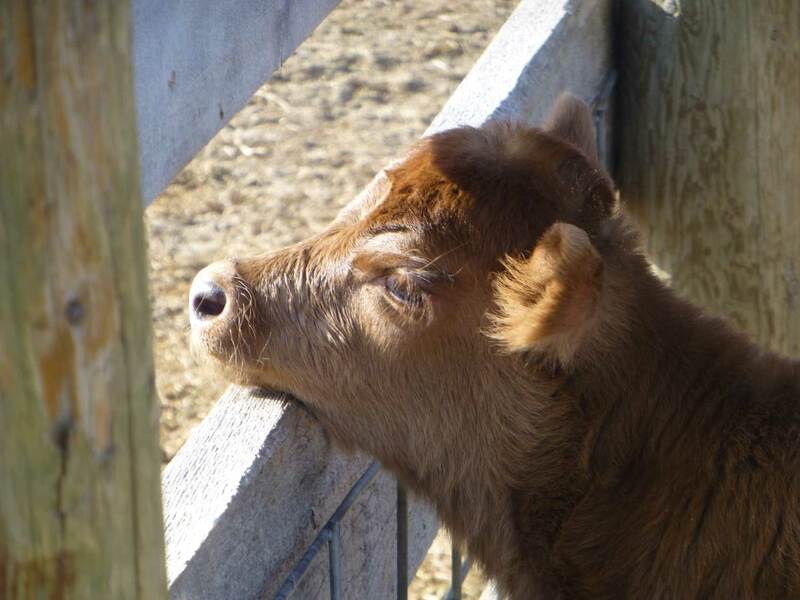 We love to talk about Dexters and welcome calls or no-obligation ranch visits to see them up close and personal. It’s so hard to believe that spring calving will begin in less than three weeks. We think we are ready, but Mother Nature always manages to throw us a few curve balls along the way. The “new” barn is up and being used in various ways by humans and cattle alike. We have stalls ready to fill with straw and lots of open space if one of the curve balls is a spring blizzard. 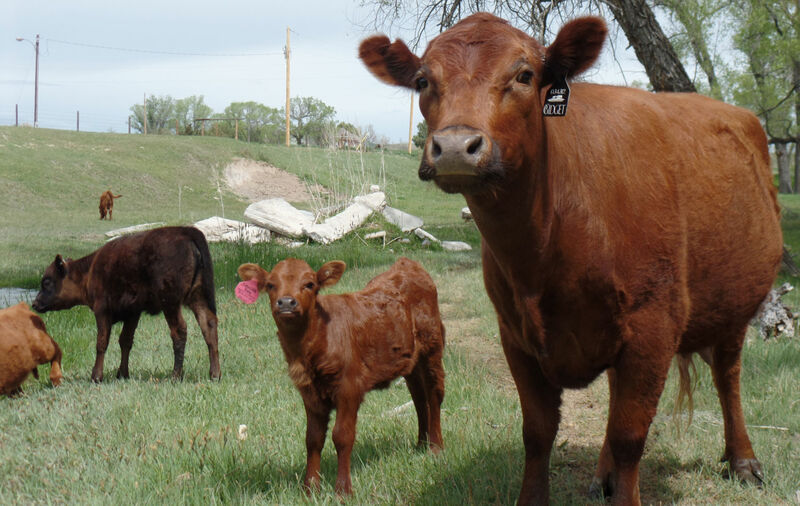 We are expecting around 45 purebred Dexter calves this spring with the bulk of them arriving in March. It will be busy, but the barn will help us all. 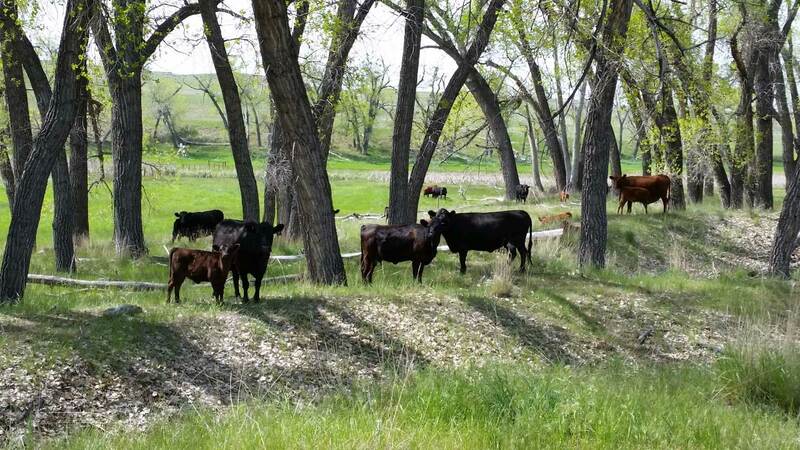 The bulk of our calves this year will be sired by Hondo simply because he was with the bulk of the herd while the flood fencing repairs took place. We genotype and parent verify every one of our calves, so it won’t be hard to figure out which of our Dexter sires is the right one. Watch our Facebook page for updates as Dexter babies arrive. It’s our favorite time of the year! 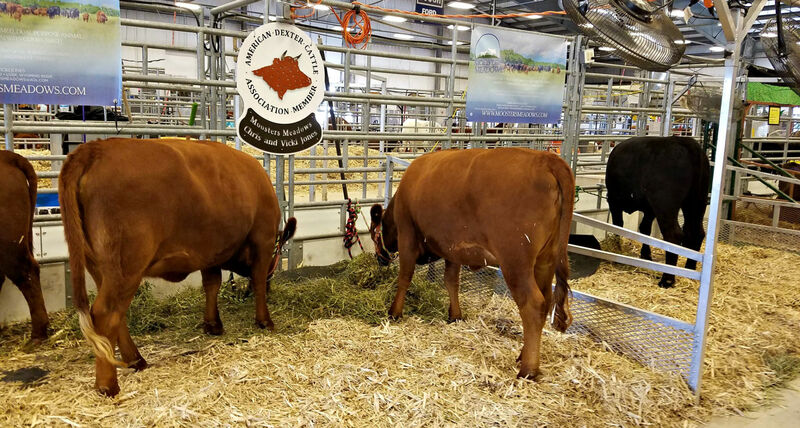 2019 started with a new adventure for us, in particular, and the Dexter world, in general, as we attended the first ever Dexter Cattle Show at the National Western Stock Show (NWSS) – also known as the Denver Stock Show. Yes! There were Dexters in Denver this year. Three Moosters heifers made the trek to Colorado to join the crew from Wiley FFA. This group of young folks did a phenomenal job of getting these heifers ready for a winter show in just a month. We hope to get to do this with them again next year. It was a fun adventure for us all. Thank you to FFA Advisor Samantha Reese, Facilities provider Tom Torres, and to everyone who worked so hard to make this show happen this year. We are making a few changes to the website and hope that you will enjoy them. Feedback is always appreciated. Keep an eye on our Facebook page for daily happenings (well, as close to daily updates as we get). As always, please feel free to contact us to what’s for sale at Moosters as sometimes life on the ranch gets in the way of regular updates to our For Sale page. Moosters went to new homes in 2018 to Montana, Colorado, Utah, Texas, South Dakota, Tennessee, Oklahoma, California and Wyoming. 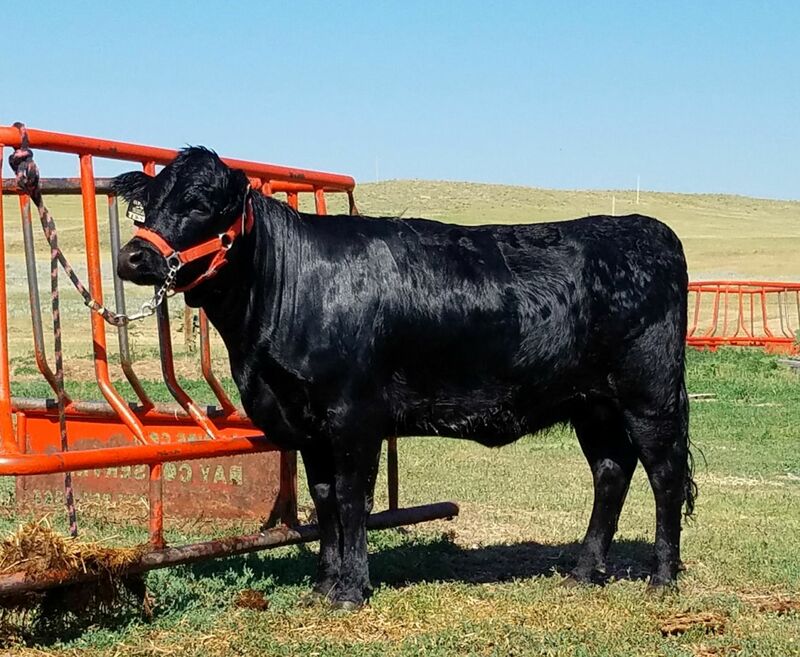 We thank our buyers for their faith in our breeding and know that they are loving their new Dexters as much as we have. We are excited for our upcoming buyers who will be taking home Moosters this year. Our new friendships are so important to us. As always, please feel free to contact us to see what’s for sale as sometimes life on the ranch gets in the way of regular updates to our For Sale Page.